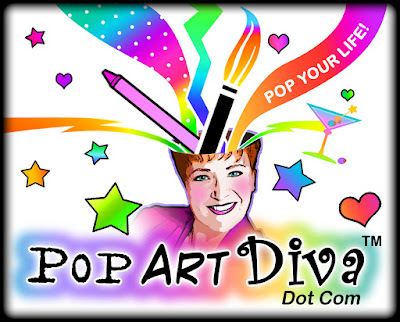 POP ART DIVA LAND: You are now in POP ART DIVA LAND! You are now in POP ART DIVA LAND! I follow my muse then splash color all over where she leads me. Then I have a cocktail.